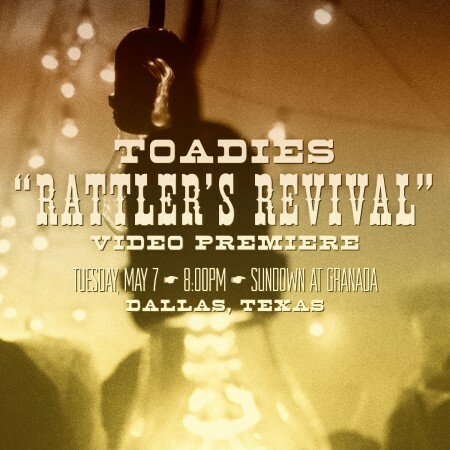 Join the Toadies for a special premiere of their new video “Rattler’s Revival” and “making of” video on the rooftop of Sundown at Granada on May 7 from 8-10:00pm. There will be drink specials, prizes and maybe even an acoustic performance of a song or two by Toadies Vaden Todd Lewis. The event is FREE, so just show up to join in on the party!